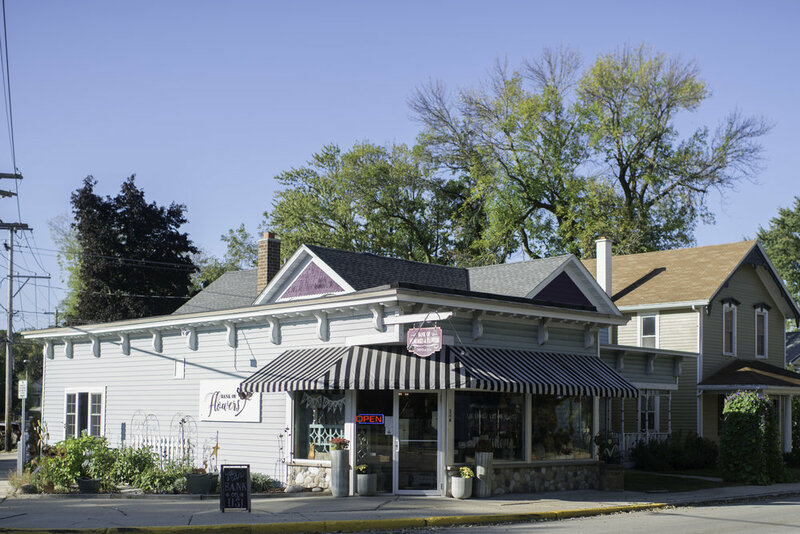 Our Menomonee Falls historic building was originally built in 1901 and was home to the Villages first bank. The bank’s vault now serves as our walk-in cooler and the historic ambience of the building is abundant as you walk in the front door. The “bank” has held our customers' “memories” the last two decades and, of course, our “flowers.” We feel we've been a part of your memories over the years, and we thank you for your business and your continued support. Our Pewaukee location has the unique eco-friendly garden. All the perennial plants that are planted can be harvested to be used in our floral designs year after year. We have seen the benefits of our rain barrel and found ways to use natural pesticides and eco-friendly fertilizers. Our little GREEN sanctuary attracts wildlife, preserves the environment and will support our flower shop for years to come. Ask about our eco-friendly garden flowers arrangements available July through September. Bring in your used vases at either location to be recycled and we will send you home with free flowers!